When will be I'm Different: Let Me Drive next episode air date? Is I'm Different: Let Me Drive renewed or cancelled? Where to countdown I'm Different: Let Me Drive air dates? 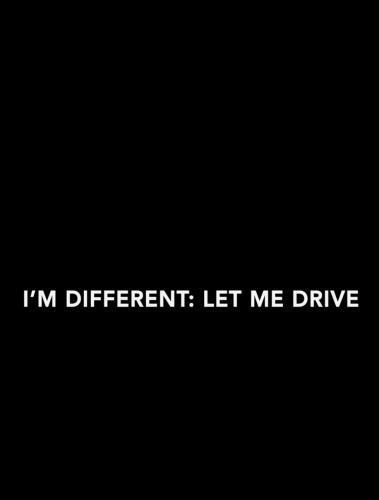 Is I'm Different: Let Me Drive worth watching? 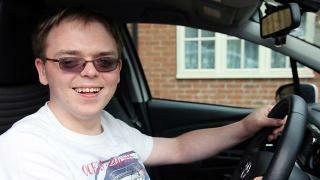 Documentary series following young learner drivers with physical and learning disabilities. 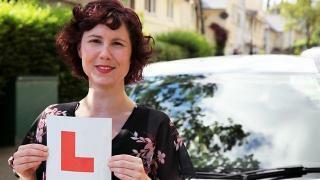 Twenty-one-year-old Natasha from Bo'ness in Scotland has had over a hundred driving lessons with numerous instructors. At the age of five Natasha was hit by two cars, which left her with a traumatic brain injury. If Natasha can learn to distinguish left from right and control her temper behind the wheel, her instructor John will let her book a driving test. Stuart, 24 and from Lincoln, was born with a rare chromosome disorder which causes severe pain in his joints. If Stuart is going to pass his test and achieve his dream of driving a Porsche, he needs to find a way to manage the pain. Twenty-six year-old Chris from Bournemouth is reliant on public transport and wants to pass his test so he can spend more time with his girlfriend. He was diagnosed with Asperger syndrome as a teenager and fears the unknown and unpredictable. If he can get over his cautiousness and nerves his instructor Doug will let him book a driving test. Cannadine is twenty-eight and lives in London. 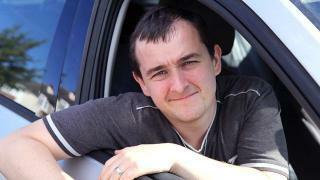 Cannadine has autism and struggles to keep his mind focused on the road whilst driving. If Cannadine is ever going to pass he needs to learn how to maintain his concentration. After two years and over two hundred lessons, twenty-one year-old Rannoch from Edinburgh recently passed his driving test. But there's a problem: his parents are reluctant to let him drive on his own just yet. So Rannoch, who has autism, is going to take a Pass Plus course to perfect his driving skills before being given the keys to the family car. In Lincoln, twenty year-old Helen has autism and uncontrollable twitches, which means she struggles to keep two hands on the wheel, something she will need to conquer if she is to pass her test. 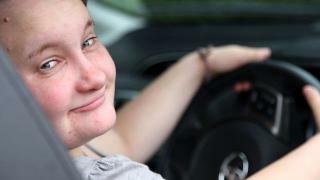 Alice (20) lives with her family in Kettering and is reliant on her mother for lifts. Now she wants a place of her own, so needs to learn to drive to get around. Alice, though, has Asperger's syndrome and gets easily distracted whilst driving; particularly when passing houses she would like to live in. If she can focus more on the road her instructor will let her book a test. Eleni (30) from Nottingham has spent the last seven years looking for full time employment and believes passing her driving test will get her the job she desperately craves. Eleni also has Asperger's syndrome and suffers from extreme anxiety behind the wheel. Desperate to work, she is still unemployed despite having applied for thousands of jobs. Not having a driving licence is not helping her chances. Eleni needs to conquer her nerves if she is to pass her tests and improve her chances of getting a job. I'm Different: Let Me Drive next episode air date provides TVMaze for you. EpisoDate.com is your TV show guide to Countdown I'm Different: Let Me Drive Episode Air Dates and to stay in touch with I'm Different: Let Me Drive next episode Air Date and your others favorite TV Shows. Add the shows you like to a "Watchlist" and let the site take it from there.